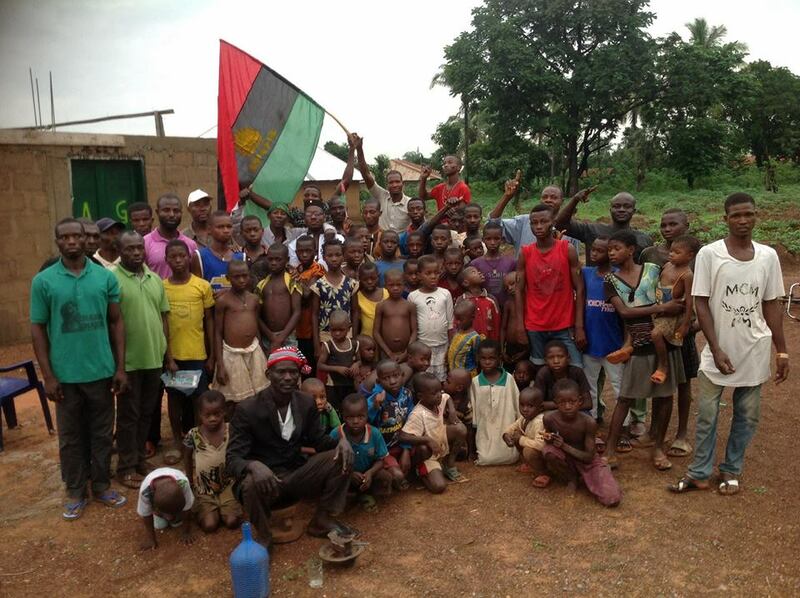 Twelve clans of Ezza ancestry in Abakiliki Province, Ebonyi, Biafraland, declared their total and unflinching support to the Biafra restoration project. They unanimously took this stand on Thursday 26th July, 2018. It was in the gathering of the family members of the Indigenous People of Biafra (IPOB) to commemorate the 2018 version of the annual new yam festival within the clan which is being widely observed throughout the land of Ezza and beyond, that precipitated this acclamation. Hundreds of the people including children, youths, able-bodied men, women and the elderly, attended the IPOB meeting in their numbers, following the official observation of the cultural rites. 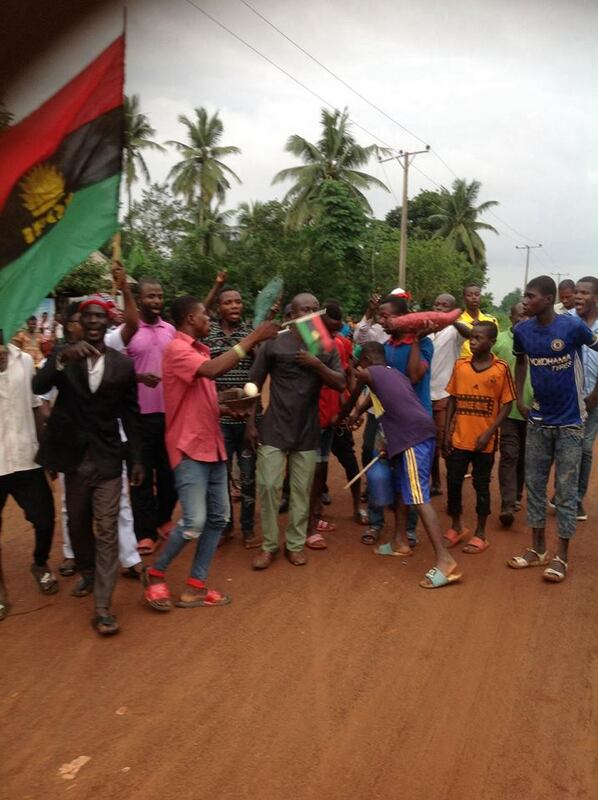 They took to the streets on Biafra evangelism outreach program, combing all nooks and crannies of Ezza to sensitise the people on the need for the acceptance of the gospel of Biafra referendum/restoration, their preparedness and total participation. Elder John Chukwu, elaborately made explanation to the people on the reasons behind the new yam festival and it's attached significance in the life of the people of Ezza in particular and Biafrans in general. 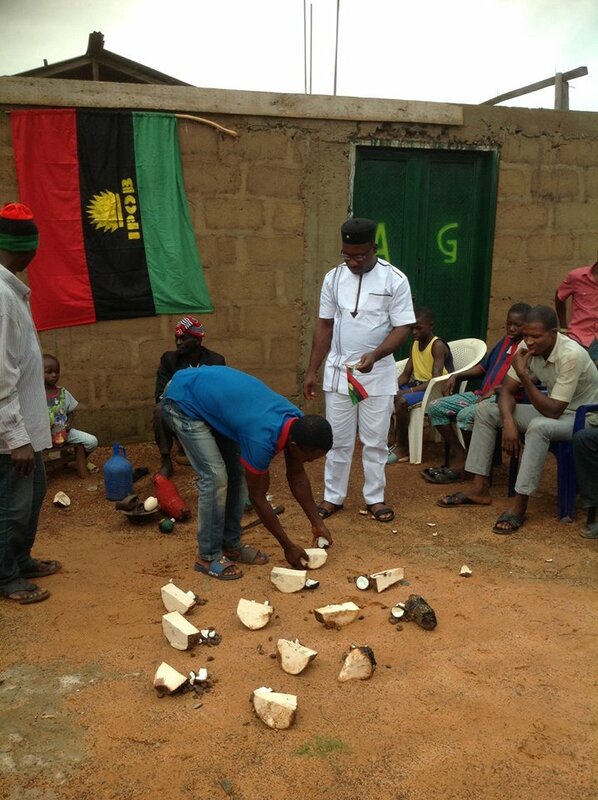 According to him, the new yam festival has been an old time event since the existence of Ezza and Biafra. He further stated that the festival offers the opportunity for the commemoration of generational successors of Ezekuna which gave birth to the twelve tribes of Ezza as being witnessed today. 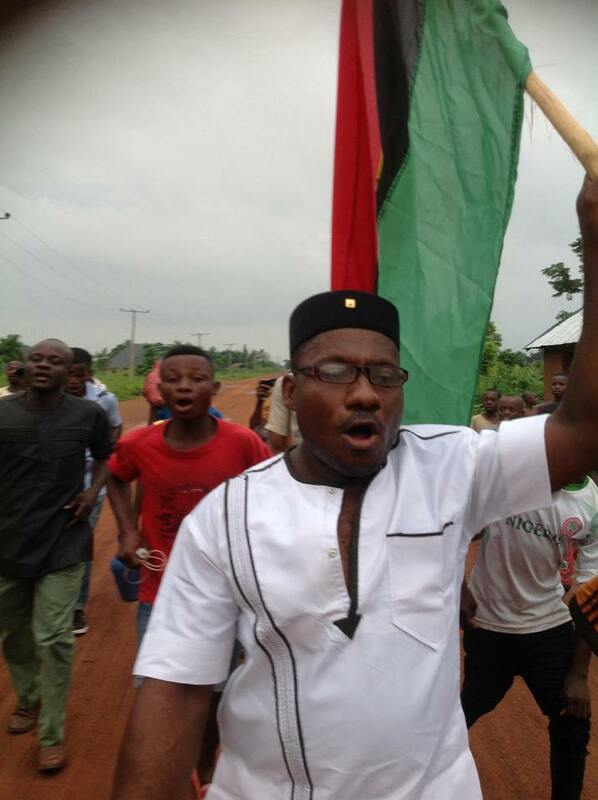 He shared all with his children in love and happiness and unreservedly, blessed the IPOB family. He also prayed for the well-being of the IPOB leader, Mazi Nnamdi Kanu, whose whereabouts is yet unknown. 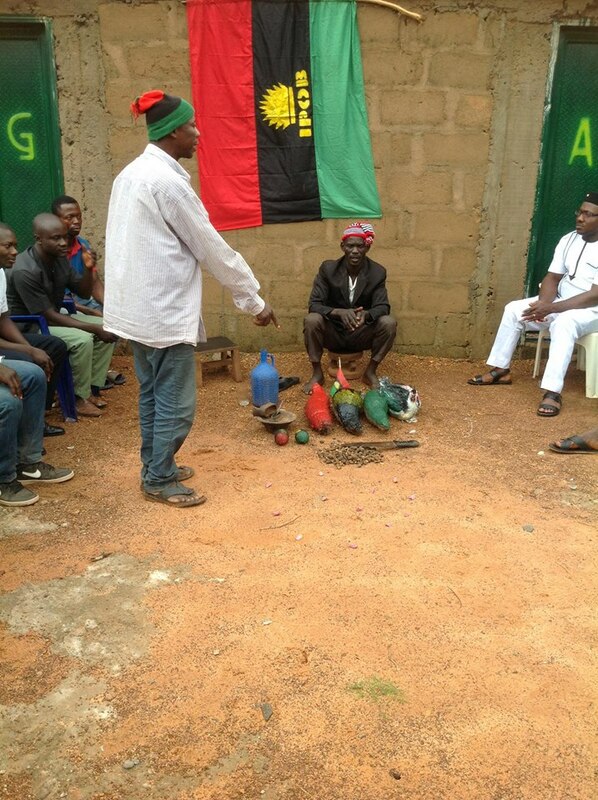 Elder John Chukwu prayed Chukwuokike Abiama (God Almighty) to also grant us Biafra, which remains the last hope of the oppressed and deprived in Nigeria and in Africa. The elder appreciated God for the year's bumper harvest and prayed that all subsequent farming activities and other life endeavors of the people, be abundantly blessed. The Ezza local government area IPOB Coordinator, Mazi Oka M. Oka, who organized the special festival commemoration event, expressed joy and satisfaction for the level of cooperation exhibited by various IPOB Units and Zones not only within the Local Government Area but the entire Ebonyi Central Senatorial District. He praised them for their contributions and the success of the event. The Coordinator made it known that Ezza people stand resolute with the ideals of the IPOB in it's quest for the restoration of the nation of Biafra and promised their total vote for Biafra exit from Nigeria during the upcoming referendum. The Local Government Area IPOB Women Leader, stepping unto the stage, could not hide her feelings of joy as she led the audience in scintillating Biafra songs. She called on the women to come out, embrace the restoration gospel and join the IPOB freedom train and fight for the enduring well-being of our people. The General Secretary of Ezza Local Government Area reminded the people of the enormous work awaiting attention regarding the upcoming Biafra referendum. He encouraged all to remain resolute and resilient in the struggle as every effort is being made to realize this God-given mandate.